Panasonic confirms 2012 plasma TV line-up | What Hi-Fi? 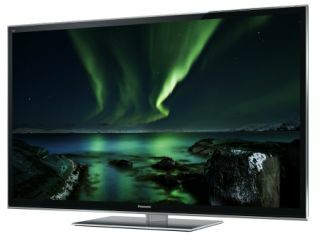 Panasonic has today confirmed its full TV line-up for 2012 at its European Convention in Hamburg. The company kept things vague in terms of models and screen sizes at CES in Las Vegas earlier this year, read our CES report here, but has now confirmed the full line-up. There are twelve model ranges in all, split equally between six LED and six plasma series. Panasonic's plasma TVs start at 42in and go up to 65in screen sizes, while LED sets are available from 19in to 55in. This year sees the first range of Panasonic passive 3D TVs, alongside plenty of full HD active 3D models, plus updates to Panasonic's Viera Connect smart TV platform and two new Viera Remote apps for swiping content between your TV and tablet or smartphone. The plasma line-up is led by the full HD, active 3D, VT50 range, which is available in 50in (TX-P50VT50, pictured), 55in (TX-P55VT50) and 65in (TX-P65VT50) sizes. With the latest picture processing, an Infinite Black Ultra Panel, Viera Connect smart TV hub, 2500Hz focused field drive (FFD), Bluetooth, DLNA, four HDMI inputs, ISF calibration and comes with two sets of the latest 3D glasses. Next in line is the GT50, available as a 42in (TX-P42GT50) or 50in, and with full HD 3D, an Infinite Black Pro panel, 2500Hz focused field drive (FFD), built-in wifi, Viera Connect, Bluetooth, DLNA and more. The ST50 comes in 42in (TX-P42ST50), 50in (TX-P50ST50), 55in (TX-P55ST50) and 65in sizes (TX-P65ST50) sizes and is another full HD active 3D model, with an Infinite Black Pro panel, 2000Hz focused field drive (FFD), Viera Connect, integrated wifi but just three HDMI inputs. The UT50 comes in just 42in (TX-P42UT50) and 50in (TX-P50UT50) sizes and drops the Inifinite Black panel, has just two HDMI inputs and no integrated wifi. It's still a full HD active 3D set. The XT50 and X50 are available in 42in and 50in sizes, both just HD-Ready resolutions and with the latter the only plasma series that doesn't support 3D. Check out our Panasonic blog for pictures and further details on the 2012 TV line-up, and our news story on the LCD/LED line-up.